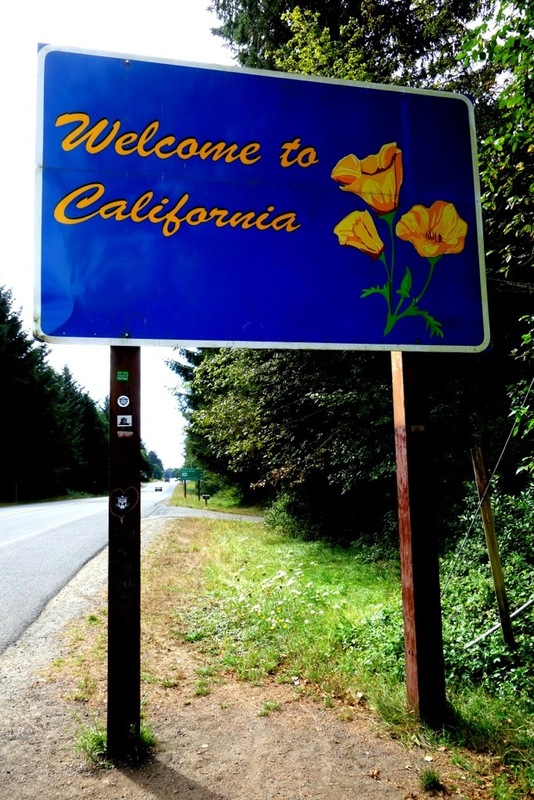 Cheese, Camping, & California – Where Did Mary Go? 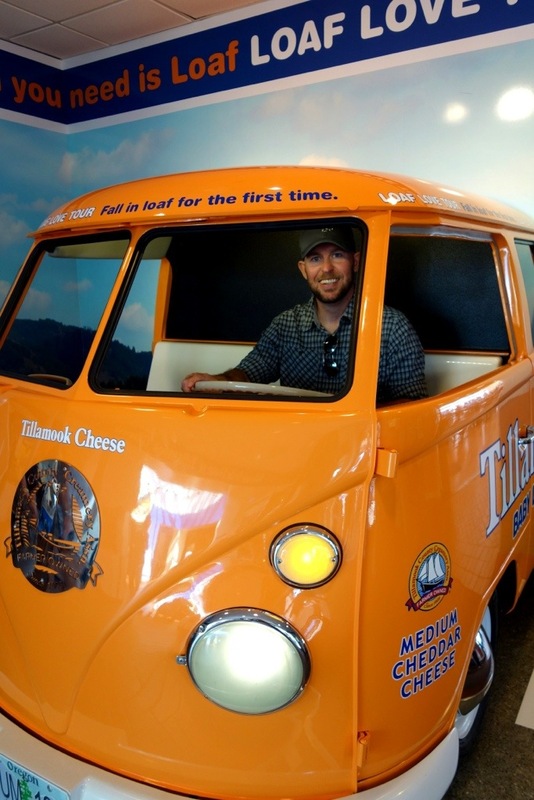 One cannot drive down 101 on the Oregon coast and drive past the Tillamook Cheese Factory without stopping. It would be a tragedy. 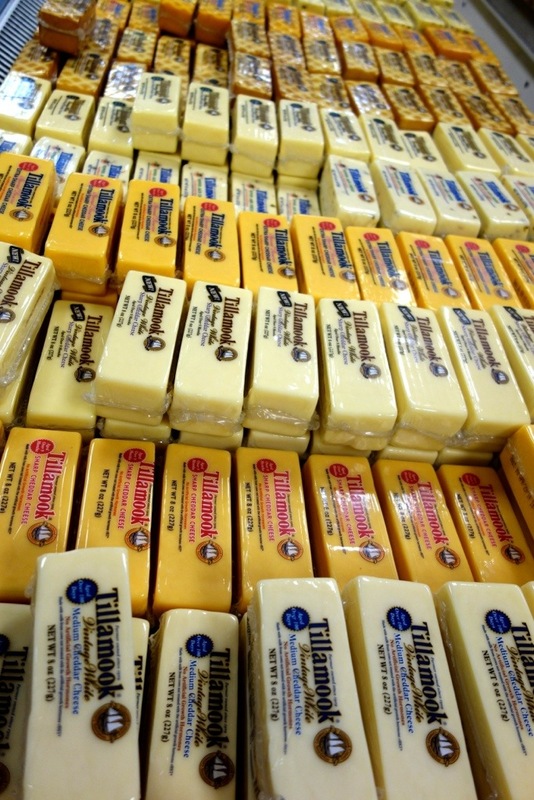 The cheese factory is in the town of Tillamook (obviously) and open 8am-6pm this time of year. This place rivals Disney World for what Andrew considers the happiest place in the country ((or on earth??)). 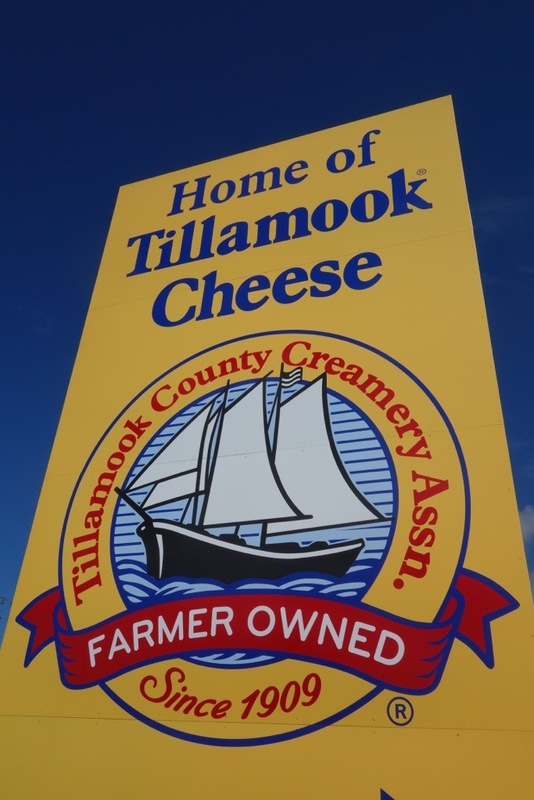 They offer you a self-guided tour with lots of cheese-making viewing and information, and at the end of the tour you get samples of their different cheeses and a gift shop awaits to browse and purchase everything Tillamook. We had been to the factory before years ago, so we skipped straight to the cheese sampling like true pros. My favorite was the Garlic White Cheddar ((who’s surprised? I am a sucker for anything which contains garlic)). 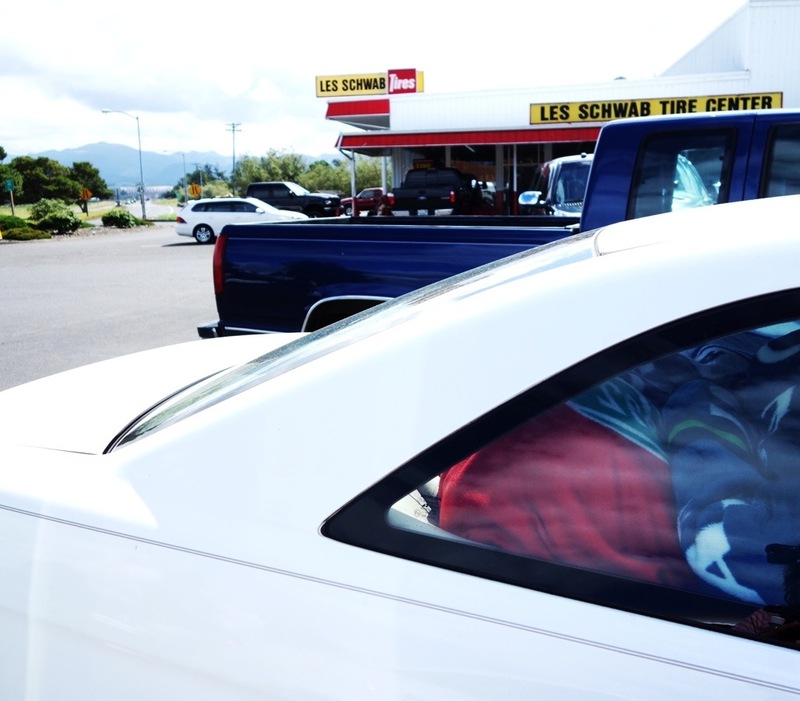 Before stopping at the cheese factory, we found the nearest Les Schwab tire center to get my tire checked, as I noticed a metal piece sticking out of it the day before. It would be over an hour wait so they put us in “line” and said it would be fine to head to the cheese factory and come back in about an hour or so. Perfect! We lunched at the cheese factory – they have a little cafe there with soups, sandwiches including grilled cheese, and some other goodies. Tillamook is also famous for their ice cream, so they have a large ice cream counter where you can order up scoops and sundaes. After sampling a few flavors each, Andrew chose the White Chocolate Raspberry Yum and I chose good ol’ Cookies and Cream for our scoops. By then it was time to return to Schwab & get our tire replaced since it was a pretty sizable nail rubbing on the sidewall. 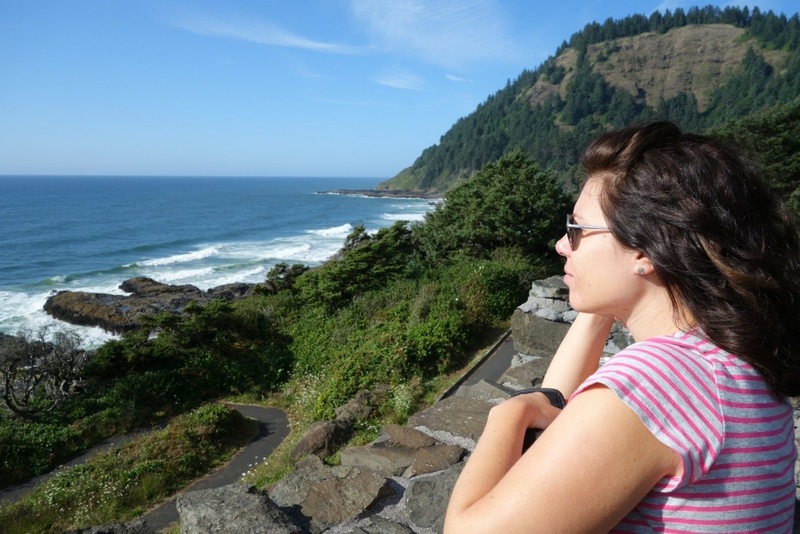 We continued cruising down the 101 until we reached our next overnight destination, Umpqua Lighthouse State Park. A small campground near the actual lighthouse and little Lake Marie, Umpqua seemed like a nice quiet spot for our next two nights of tent-dwelling. In addition to tent/RV sites, they also have adorable little log cabins and yurts available for reservation. 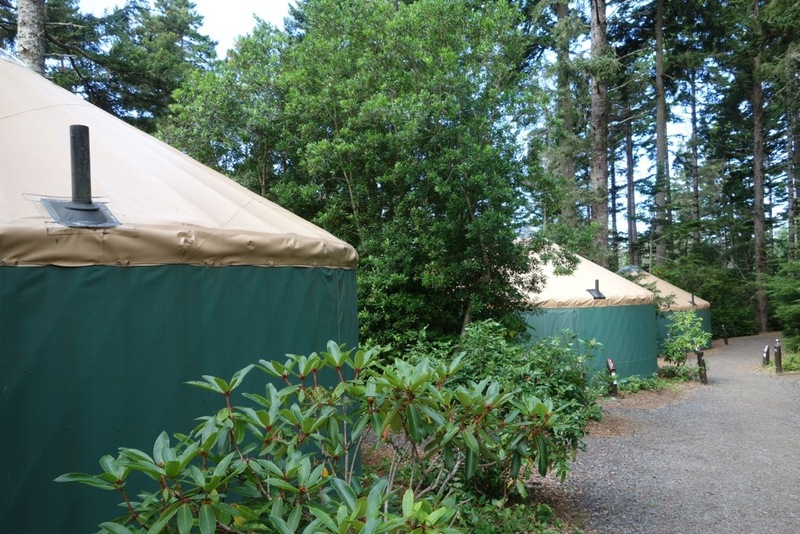 Have you ever heard of Yurts? I didn’t before I moved to the West Coast. Original yurts are found in places like Mongolia & Central Asia, and are made from fabric or wool felt. The yurts in America are a variation not intended to be moved, which is in contrast to the originals used by nomads. 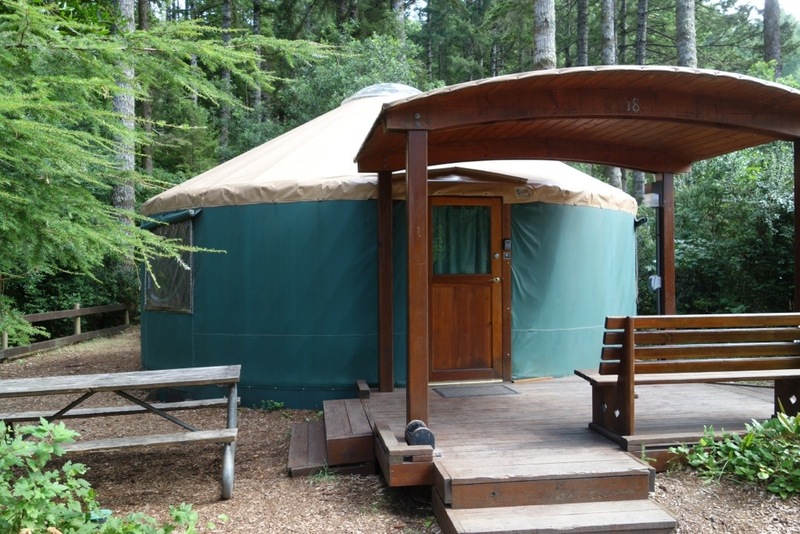 In the USA, yurts are a round structure, often containing a fireplace, with furniture – kind of like a studio apartment. I have never stayed in one, but they look like fun if you have kids and aren’t quite interested in tent camping. Plus they would be great for non-summer season camping if they have a fireplace to heat up the yurt. 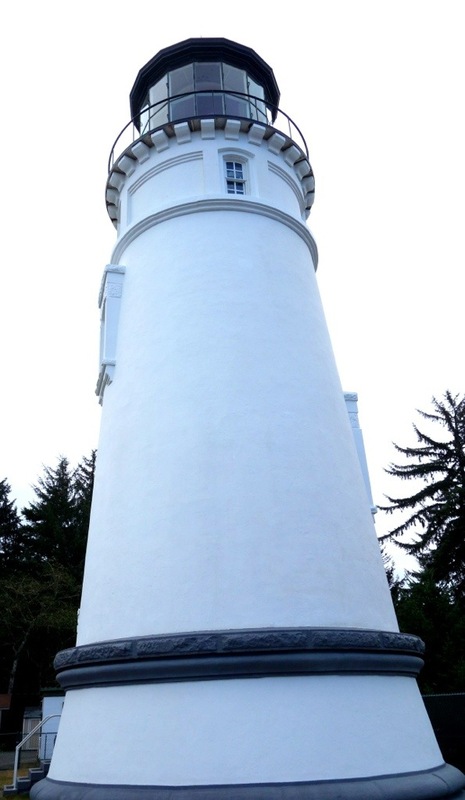 The Umpqua River lighthouse is a short hike away from the campsites, on a trail that takes you by Lake Marie. 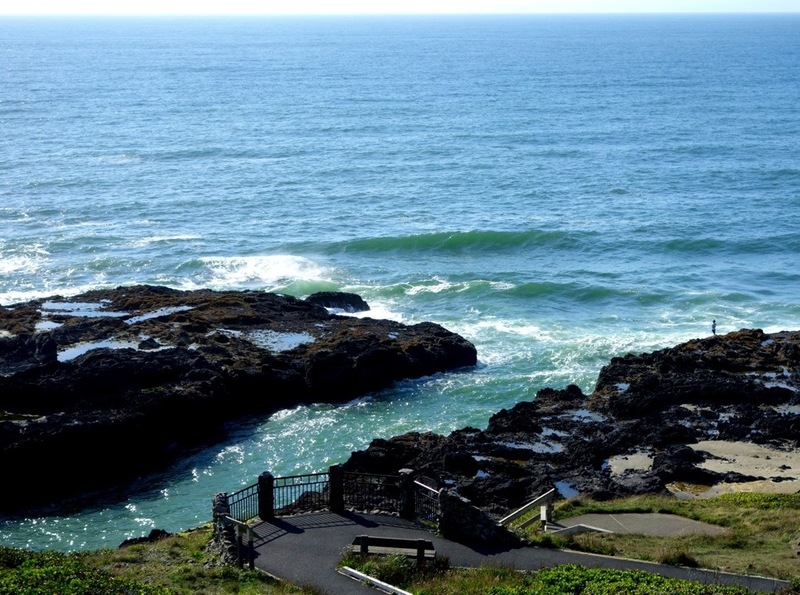 Tours of the lighthouse are offered for $5 per person, May through the end of October. We decided to forego the tour and instead wander around the Lighthouse Museum free of charge. Signs by the lighthouse detail incredible whale watching opportunities from the observation platform. Unfortunately my dream to see whales is still currently unfulfilled, as they migrate by this area twice a year – late December to early January when they head to Southern California, and then again in late March when they return to Alaska. I will keep on waiting for my golden opportunity for whale sightings. 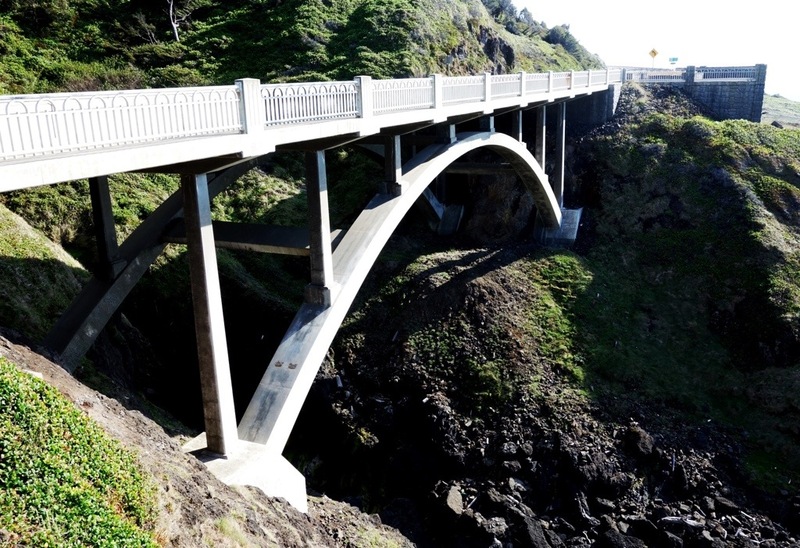 After two nights at Umpqua, we packed up a dew-soaked tent and hopped on 101 South to cruise through the rest of the Oregon coast and into California. 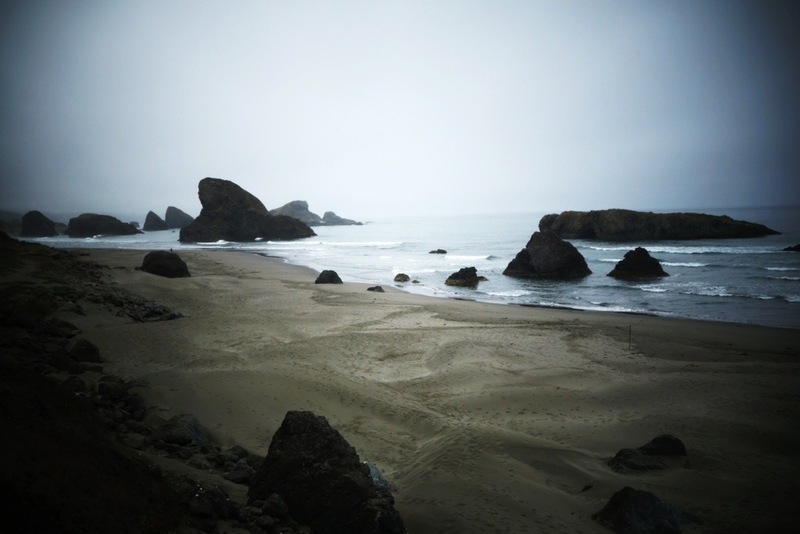 ((Andrew reminds me of my dad when he’s wiping down the wet tent with paper towels before packing it away – it makes me chuckle)) Much of the drive was through fog & rain that morning until we reached sunny California! Yahoo! 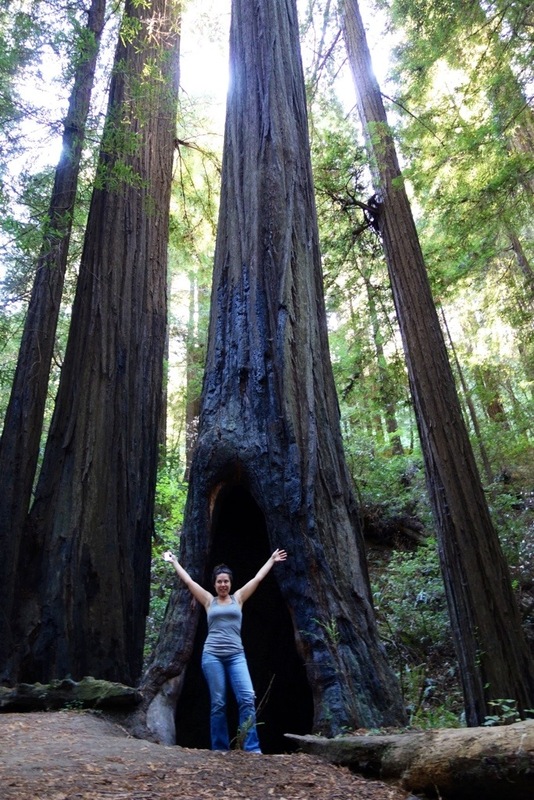 Since I have posted about our visit to a big cedar tree just north of Kalaloch, it is no secret that I am a lover of massive trees, and incredibly excited to drive through the Redwoods in Northern California. Avenue of the Giants is a 31-mile stretch of road that takes you parallel to 101, so we made our way South on the Avenue, saying “oh look how big that one is!” every 2 minutes. 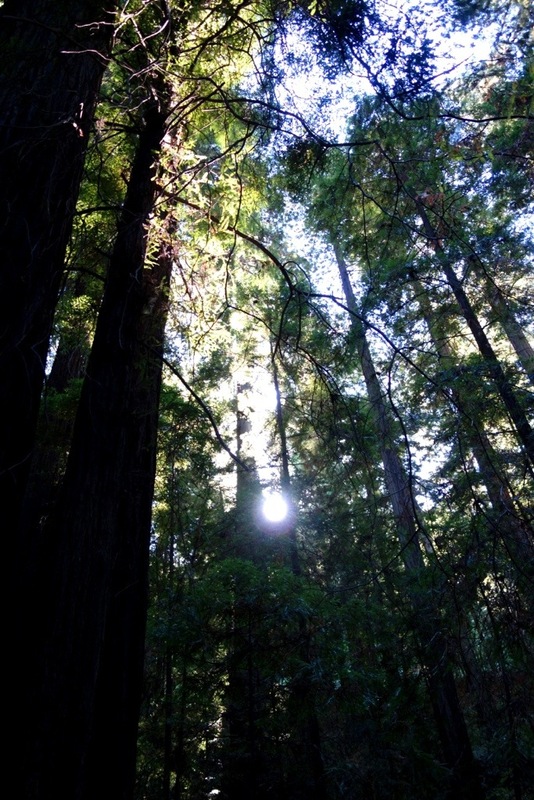 Maybe someday we can return to the Avenue of the Giants and camp in one of the campgrounds. But for now, we were eager to keep on driving through. 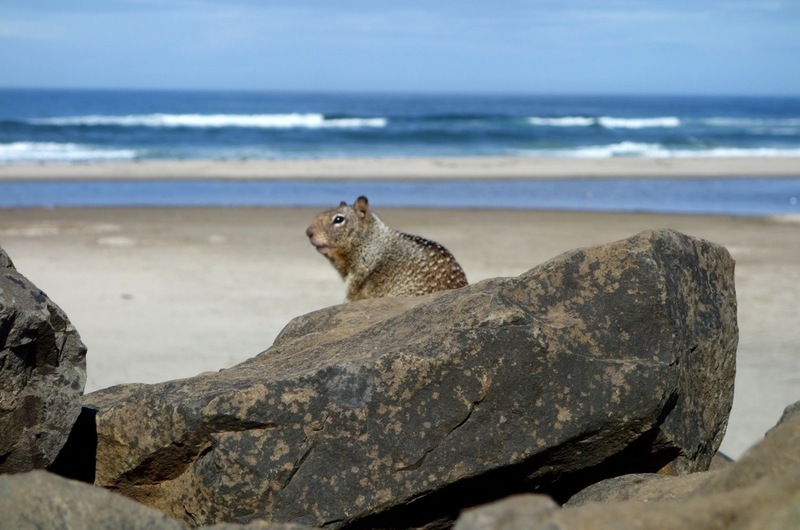 The next intended overnight stop was at Patrick’s Point State Park on the California coast. But after four nights of camping and only one shower, I was ready to make alternate plans. Since the state park was walk-in only and we didn’t have pre-paid reservations, it was easy to make adjustments. 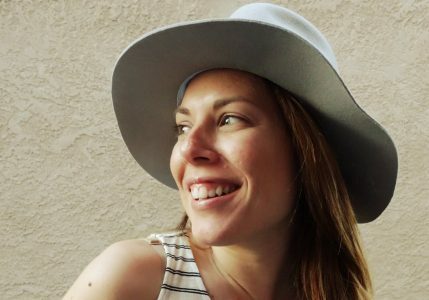 First we talked about driving to Napa Valley and finding a hotel ((I’ve never been to Napa OR a winery)). Then we decided why not just drive to our friend James’ near San Jose and the three of us do Napa the following day? WINNER! 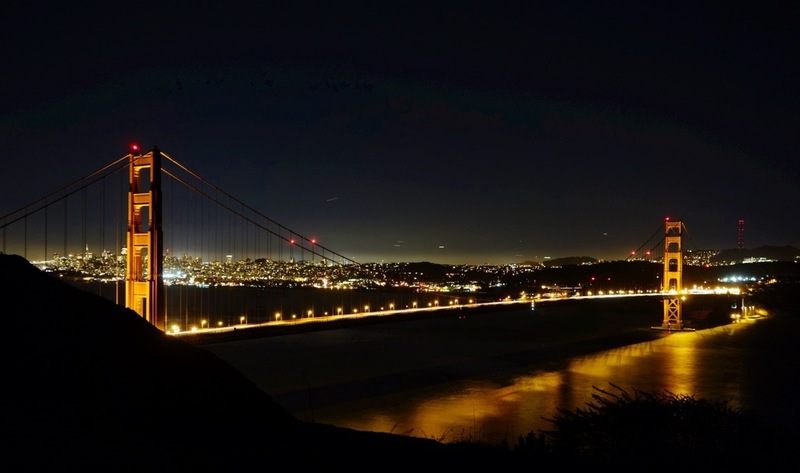 It was a 13-hour day in the car, with stops for gas, restrooms and late lunch, but it felt like the right decision, especially when we reached the terrifying/beautiful Golden Gate Bridge; and then a familiar face welcoming us inside his apartment in Los Gatos. California this time of year ((or any?)) is perfection. Stay tuned for my post on our visit to Napa.